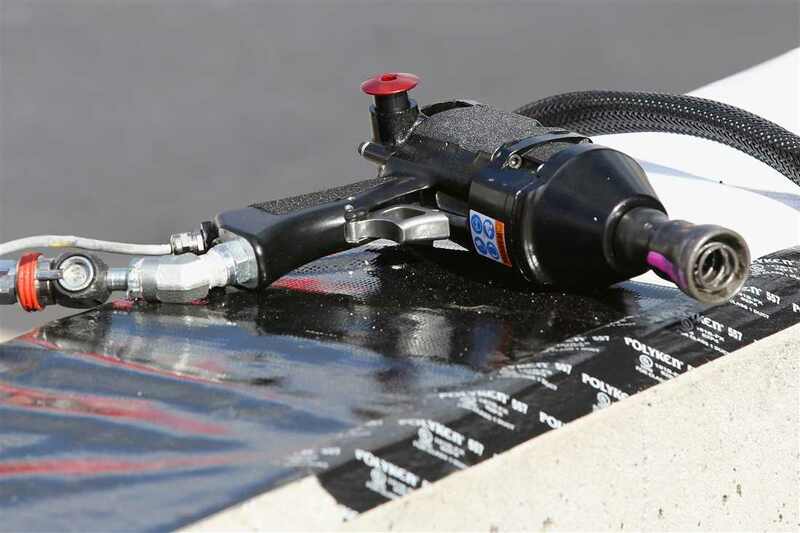 In the off-season it was announced that NASCAR would mandate the air guns used to remove and install tires during pit stops. In 2017, we were at a point where teams were using fully-developed and custom built guns. Air gun design became part of the budget for the super teams. In comparison, for a small team, it was a cost that just couldn’t be justified. NASCAR stepped in the level the playing field. However, in the second race of the season, there were some issues that rose to the surface. Multiple teams suffered from air gun malfunctions during pit stops. Among those was race leader Kevin Harvick who had to return to the pit lane to tighten the lugs that the gun didn’t. Another team that battled the guns was Furniture Row Racing. Martin Truex Jr lost all of his track position on the final stop before a shootout to the conclusion of stage 2. Positions were lost due to a slow stop, the result of a broken air gun. Truex ended that stage lacking valuable stage points as a result. Paoli is the designer of the new guns. They are handed out to the teams an hour before the green flag. Martin Truex Jr and crew rebounded from the malfunction in stage 3. The team placed 5th at Atlanta Motor Speedway.